Finally the Perfect Keto Bar. 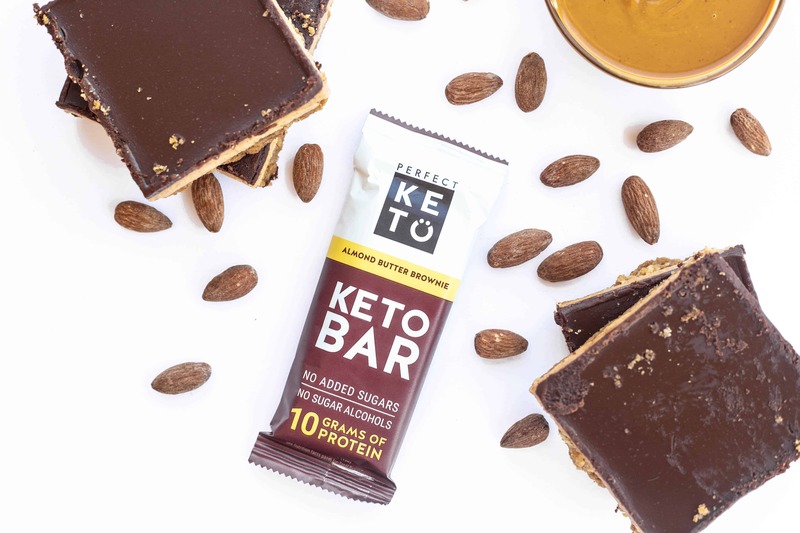 A great-tasting, keto-friendly bar with ingredients you trust. Sometimes, less is more. The snack bar marketplace is overwhelming and like most aspects of the food industry… it’s a mess. Most bars on the market either have high sugar content, high net carbs, lots of sugar alcohols, use pro-inflammatory fillers and stabilizers, and do not support a ketogenic (or any other) diet. But it’s not all doom and gloom… I’m going to get to try the new Perfect Keto Bar later this week. I’m always skeptical, but I’m also very excited about these. 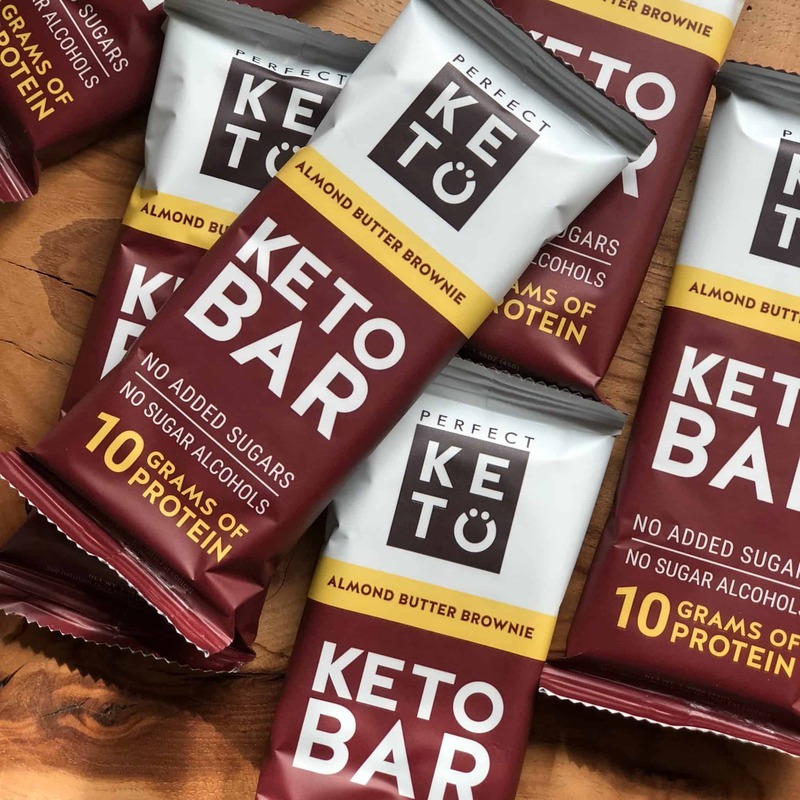 It took founder Dr. Anthony Gustin 14 iterations of tested the bars’ impact on his own blood glucose levels to ensure Keto Bars would minimize his own glycemic effect after consumption. 1. Bind together without using blood sugar spiking types of carbohydrates. 2. Meet our incredibly high quality and taste standards. 3. Are easy on the digestive system. Organic Almond Butter, Cacao Butter, Collagen Protein, Organic Cocoa, Almond Butter, Organic Coconut Oil, Sea Salt, Soluble Tapioca Fiber, Sunflower Lecithin, Natural Flavors, Stevia. Gluten-free. Dairy free. 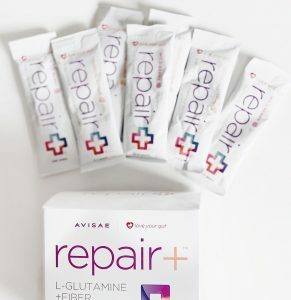 No added sugars, preservatives or artificial ingredients. Keto Bars are 19g of fat, 10g of protein from collagen, and 3g of net carbs. 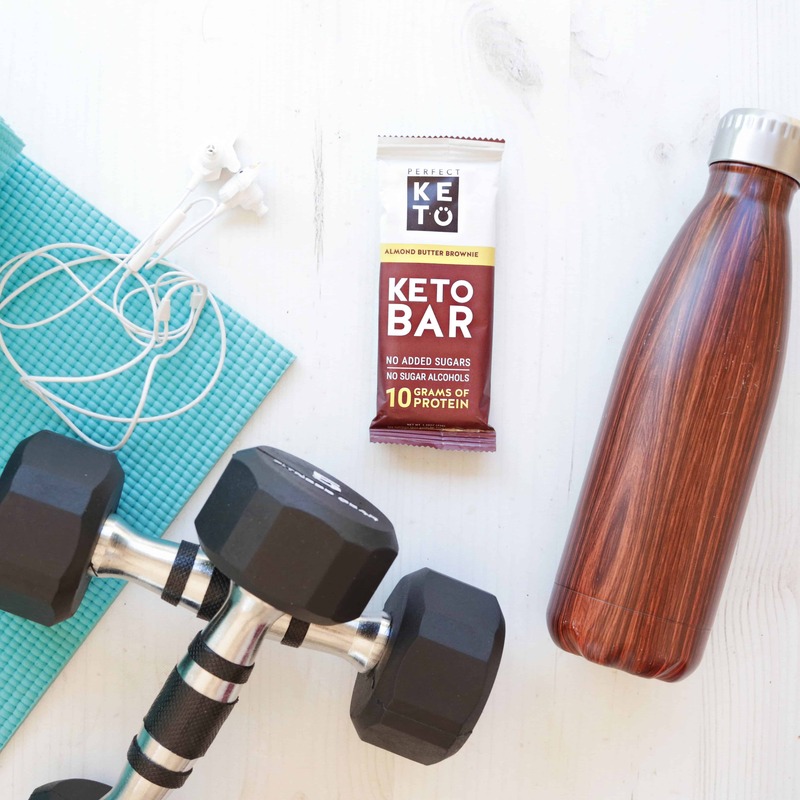 When should you use Perfect Keto Bars? Busy mornings (or days) when you don’t have time to cook. As a keto-friendly snack between meals. Keep in your gym bag for a pre-workout energy boost. Stash in your car, office, or travel luggage for a satisfying snack on the go. Keto Bars come out on Nov 5th. You can sign up for an email reminder and a big discount on launch day.